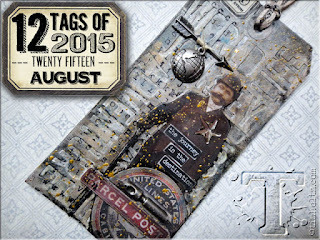 This is based on the Tim Holtz tag for August 2015 . It is my first attempt at joining in . I LOVE the crazy birds and managed to get hold of the dies to match a couple of weeks ago. The "egg" sticker is from a set of Webster's pages stickers I bought at a retreat last year. I "grunged" it up a bit and added some crackle glaze and then some alcohol ink. The wing also has been inked with alcohol inks and the star. I didn't have any suitable word dies to use for the background, So I used the sizzix thinlets honeycomb instead- I really like the effect. The quirky text stamp , is a really old prima stamp that I think goes well with the crazy bird. I must have had fun as I am covered with ink ! I just love your entry and the fact you made it totally your own. Well done! What a super tag Sue. Glad you had some inky, mucky fun. This is adorable!!! Great job!!! 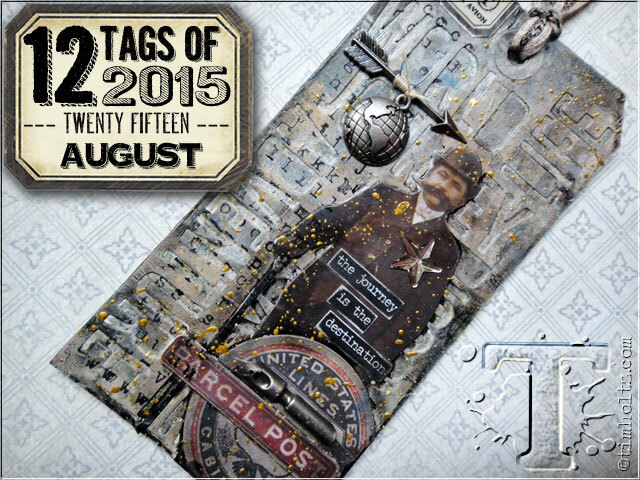 This is amazing tag! I love your layering and the Crazy Bird is fabulous! Awesome first tag! It is so cute! Awesome tag! Well done! You did a great job with using that thinlit die, and I tortured myself trying different dies myself, but passed over this one! So happy to see it here! And Tim likes it, too! It's on his Pinterest board!!! Yippee for YOU!